Added on May 2, 2016 by sage hammond. 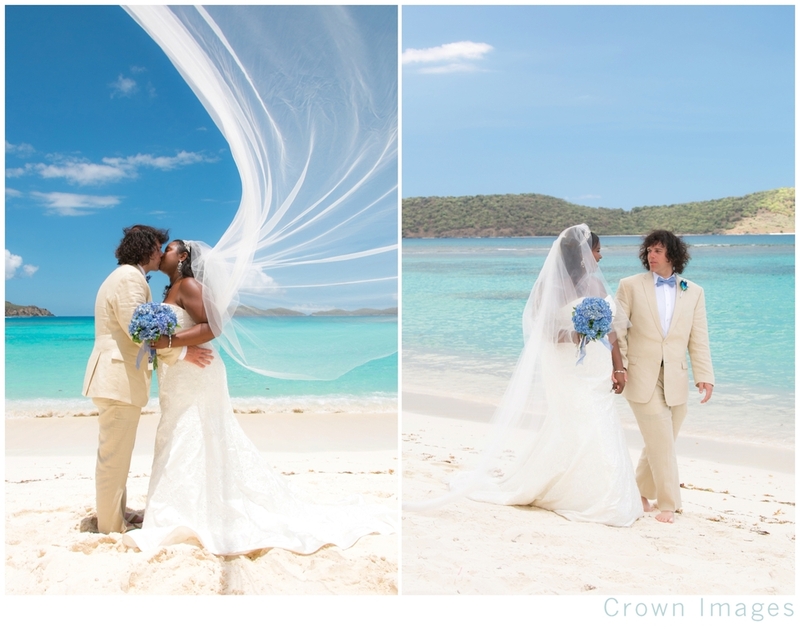 Brian & Velvet tied the knot on beautiful Lindquist Beach on the East End of St. Thomas. It was a spectacular setting for their nuptials. 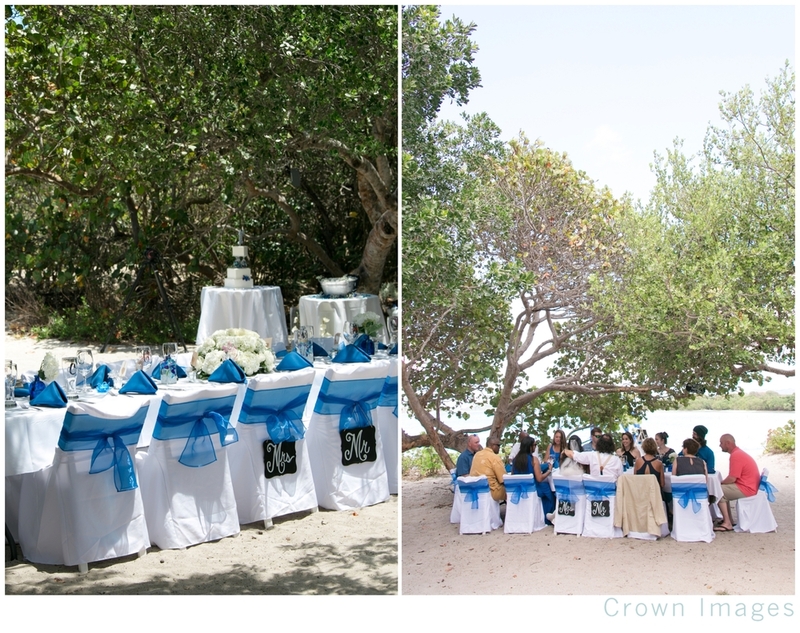 The backdrop was a perfect match with the bride’s color palette: the white sand beach & turquoise waters contrasted wonderfully with the dark blue & white color scheme of her ceremonial arch & reception luncheon table settings. The bride chose traditional elements i.e. “something blue” with a more modern twist to a beach destination wedding with a live band and catered reception right on the beach. 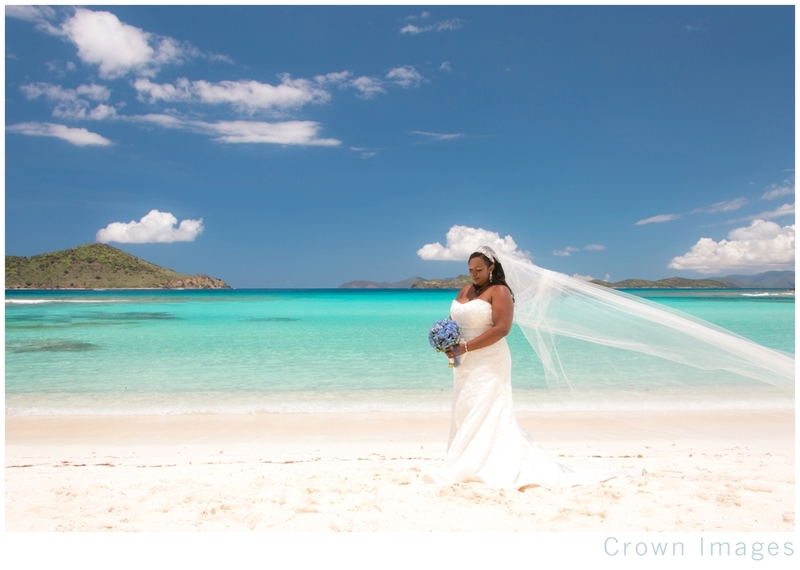 The weather was also picture perfect with deep blue Caribbean skies and plenty of sunshine to boot. Here are a few of my favorite photos from their magical day.